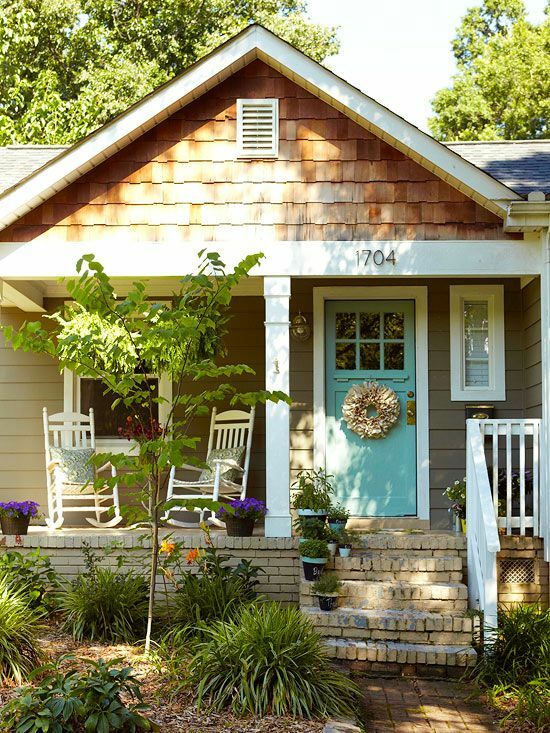 I am in love with cottages and bungalows. 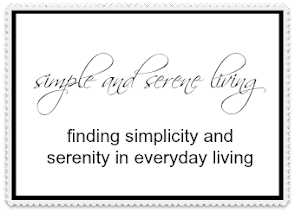 They always feel so serene. or how about walking out your front door to this. It is so unbelievably amazing that it doesn't even seem real. Does someone actually get to live here? Of course my first thought was how do you water those flowers in the boat. Maybe it rains a lot there. Okay, that was a real flight of fancy. 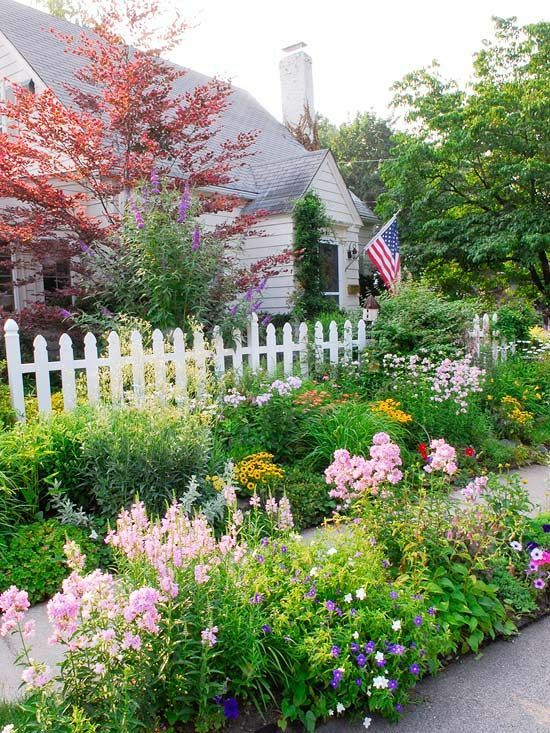 I think cottages with picket fences and cutting beds are the best. This is my absolute favorite. 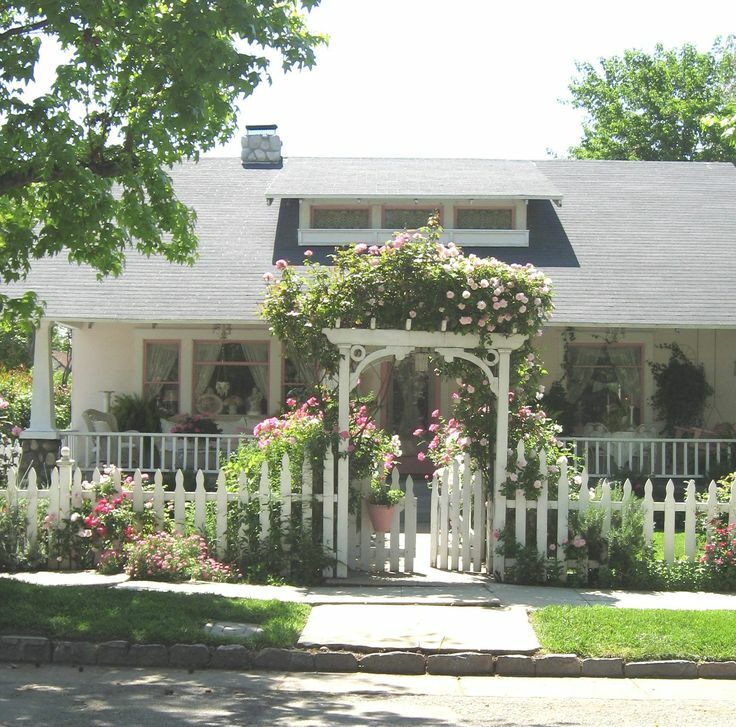 Not only does it have the porch, the picket fence, and the flower beds, it has a rose covered trellis. Absolute perfection. 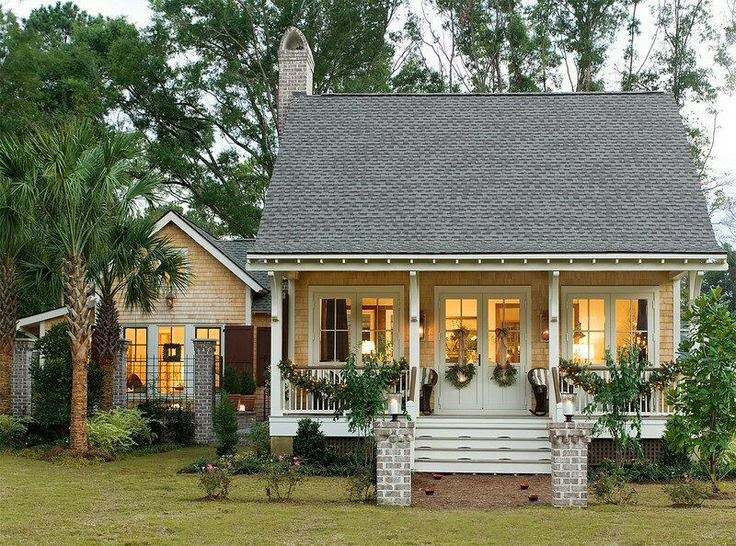 Yep, I am definitely crushing on cottages. Oh, and I actually decided to create something last night. It does happen occasionally. I'm not finished with it yet, but as soon as I get it done and if it turns out not to be some wonky thing I will definitely share it. I really love that first cottage. And, that boat filled with flowers! Oh my! They're all just perfect and charming. I agree, Dawn. They are all wonderful. 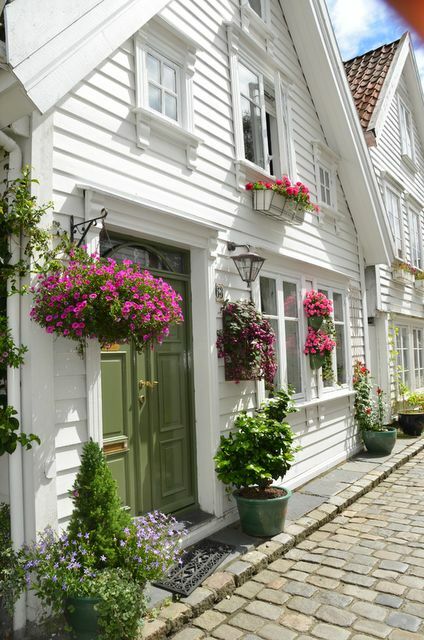 Such lovely cottages. I would love to live in one too, just like the first photo. ;) Perfection. Love all of these pics. First one is my fave! The cottage on the water is my favorite. Hi Laura....Oh, that last one is a heart-stopper. But the first isn't so bad, either! I'd need storage room, though, unless I got rid of a ton of "stuff." I love cute cottages too. I think they are so welcoming looking. They are certainly easier on the wallet too! The cottages all look very inviting! Laura, I loved that post as I'm crushing on cottages just like you. I always say that if I have a car accident someday it'll be because I was looking at a cottage by the road. 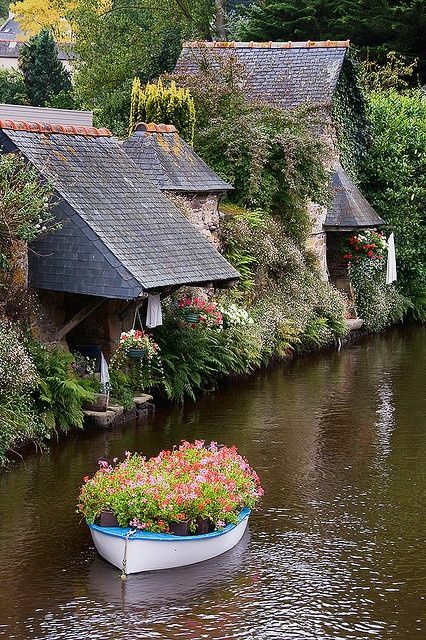 NOw would you believe the cottage on the riverside with the flowers in the boat is in a little village called Pontrieux, about an hour from my own cottage. It does rain quite a lot here, so watering the flowers isn't a problem, and they are usually put in the boat right before the village's fair, so they are still pretty for that day!